Founded in 2000 and brought online in 2005, all what lottery 24 aims to do is to ensure high security and support levels of personal data and also to provide top notch services as its legit standing online is secured by Norton safe web and Google safe browsing. Lottery 24 users can make use of the syndicate options on the lottery 24 website to team up with friends and buy up to twenty tickets at once. The prices won will be split equally among the syndicate members. Lottery 24 offers a quick and easy playing process which is done by simply clicking on the virtual coupon and selecting the lucky number of your choice. It serves an international market as its customer service adapted in English, Spanish, German, Italian, and French. Lottery 24 is very safe, straightforward and user friendly, while at the same time improving its services, and no fraudulent activities has been recorded since its inception. 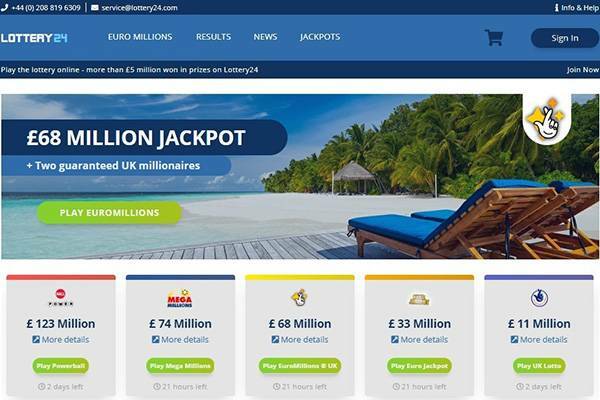 Having two major price winners of € 180,000 and € 250,000 respectively in 2014 shows that lottery 24 is an online site which offers internationally popular lotteries. 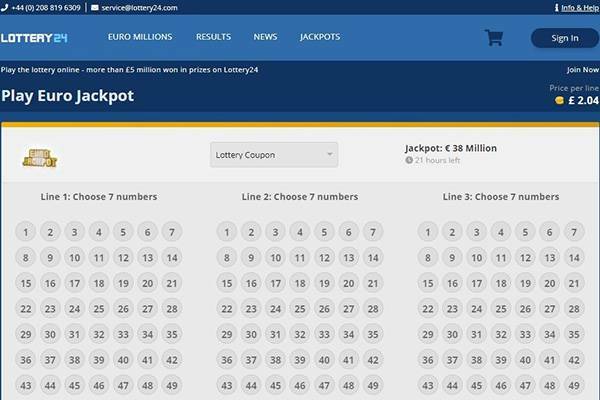 The lotteries currently offered by lottery 24 website include: EuroMillions, EuroJackpot, Spanish Bonoloto, Spanish El Gordo de la Primitiva, Spanish La Primitiva, German Lotto 6/49, Italian SuperEnalotto, US Mega Millions, US powerball, and Austrian Lotto 6/45. Syndicate game- play options are available for most of these lotto games and secondary prizes along with large jackpots ate frequently rewarded. Lottery 24 can be used on mobile phones making it convenient, easy to use and accessible anywhere and anytime due to its interface which has been adapted to mobile platforms. Four additional games have been put up on their site for you to play, they are : bingo, betting, poker, and a casino option. 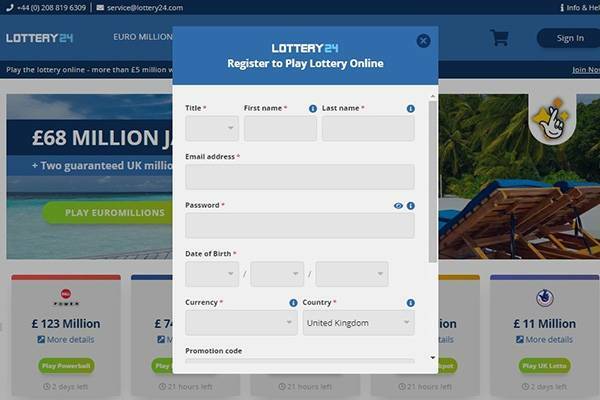 The lottery 24 site makes lottery games more seamless and easy, especially with the use of a mobile phone, tablets and iPad. Lottery 24 offers an extra draw called the ” AT joker ” draw once you choose to play any lottery at lottery 24. The ” AT joker ” draw is an Austrian lottery game played twice a week. Lottery 24 also offers bonus tickets. Online lottery tickets can be paid using credit card and bank transfer. And if no other payment option is available in your area, PayPal can be used to make payments. Accepted cards for deposit include : Visa card, maestro card, master card and sofort banking. All the winnings which are over € 1000 are paid out by an Austrian trustee directly into the winner’s bank account within one month for EuroMillions, El Gordo, La Primitiva, Bonoloto, and lotto 6/49, while Powerball and Mega Millions winnings are transferred within two months. Smaller winnings are paid out immediately after the draw to the customer’s account as lottery24.com. the lottery 24 site has a FAQ page. The FAQ page is which is characterized by questions such as; ‘how do I play?’, ‘how do I pay?’, ‘how do I play a system ticket ?’, ‘can I participate in lotteries offered from outside my country?’. Their customer service can be contacted through the contact form found on the lottery 24 site or through email at aervice@lottery24.com St any time of the day. Is Lottery 24 legit or fraud? 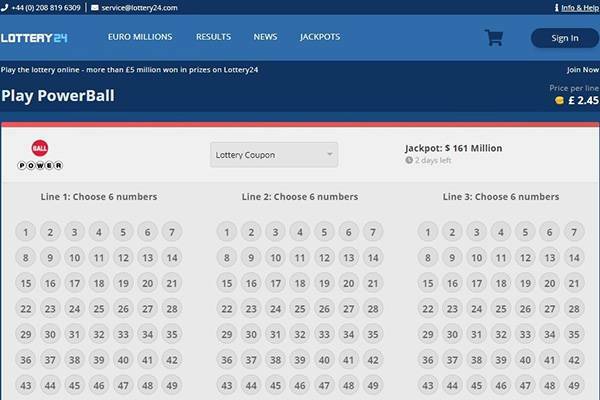 The lottery 24 site is legal and accepted in most countries in Europe and Asia . However different rules regarding the timing of lottery prices exist for different countries. For instance, Germany pays big prices within a four week period approximately, while Italy pays within three months. 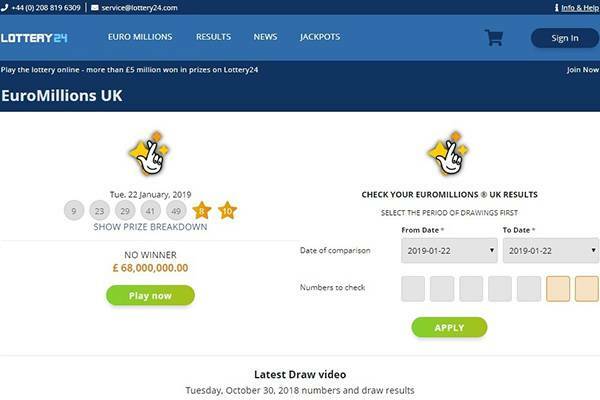 It is safe and legal to play lottery games through the lottery 24 website as it a site where such games can be played internationally and no known record of fraudulent activities or scam has ever been heard of. Your privacy is highly secured with lottery 24.